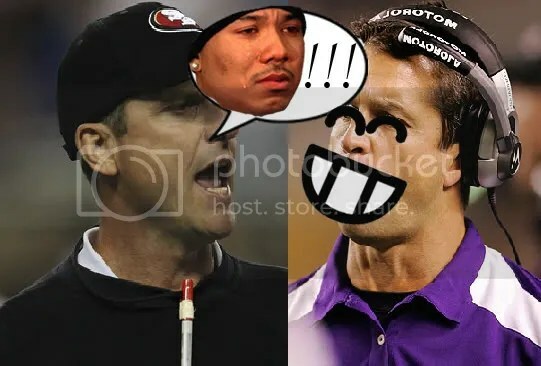 « Can the Ravens Trust Billy Cundiff? The last time the Harbaugh brothers got together on a holiday, there was a bit of animosity in the air, as their teams clashed on Thanksgiving in Baltimore. If and when they get together over the Christmas weekend, though, John is likely to have quite the warm reception for his little brother. Jim handed John quite a useful early Christmas present last night – the Pittsburgh Steelers’ fourth loss of the season – as his 49ers spanked Pittsburgh 20-3 in San Francisco on Monday night. Ben Roethlisberger played despite suffering a high ankle sprain in his last game, and was visibly hobbled all night. This time, though, his whole “tough guy” routine was unable to overcome what was a very real injury, and he struggled mightily to the tune of 3 interceptions and a lost fumble. The Steelers held the inside track for the AFC’s #1 playoff seed for approximately 24 hours, as the loss pushed them back behind the Ravens in the North division and into the wild card slot. It was a great gift to the Ravens from San Fran, but it’s only worth what they make of it. They are once again in the envious position of controlling their own destiny for the division and for a guaranteed playoff bye. With another tough road game in Week 17 in Cincinnati, though, Ravens fans still aren’t completely comfortable. The Bengals could very well be still alive in the playoff hunt on January 1, and with the way B’More has represented themselves on the road this season, confidence isn’t exactly high. Still, the situation is clear – win out and be guaranteed at least the #2 seed, a home playoff game, and a bye. With Pittsburgh finishing up the season against St. Louis (at home) and in Cleveland, there is little chance the Steelers will stumble again. They’ll be right there to take advantage and jump ahead again, should the Ravens stumble. Pittsburgh could roll Roethlisberger out in a wheelchair and the Rams still aren’t going to Heinz field and winning, so things will definitely be very interesting here these next two weeks. The next step is finishing up a perfect 2011 at M&T Bank Stadium Saturday against the Cleveland Browns. 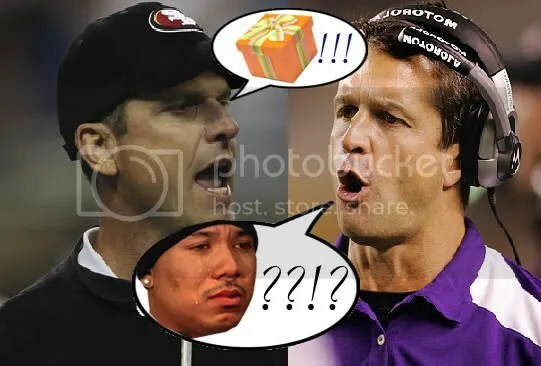 This entry was posted on December 20, 2011 at 10:25 am and is filed under Ravens. You can follow any responses to this entry through the RSS 2.0 feed. You can skip to the end and leave a response. Pinging is currently not allowed.